This tutorial demonstrates how to install WordPress after you’ve purchased web hosting. 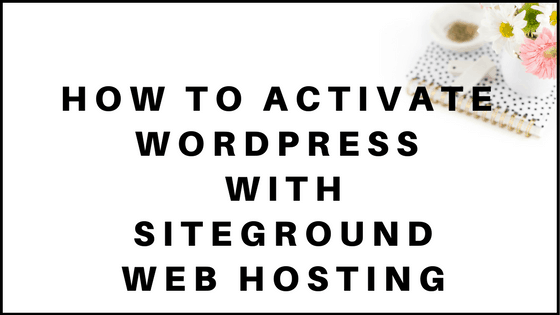 After you’ve completed your first step in starting a blog, which is purchasing your domain and web hosting, you need to install the wordpress.org content management system. Don’t worry, it’s not as difficult as it sounds, and I have a step by step guide to help you below. You can have the lovely customer agents at Siteground do this for you or, you can do it yourself. It’s quite easy. Choose Domain: Choose your domain name from the drop-down menu. Site Name: Choose a site name. You can always change this later. Site Description: Describe briefly what your site/blog is about. You can always change this later. Admin Username: Choose an admin username. You will use this when you log into the backend of your blog. This username is very important so write it down so you don’t forget! Admin Password: Choose an admin password. You will use this when you log into the backend of your blog. Again..super important! Admin Email: Add any email that works or keep the default. Select Language: English or whatever language you speak. Limit Login: If you would like, keep this box checked for added security. It will help to thwart hackers. If you do use this feature, please ensure that you know your username and password, as this feature will lock you out of your backend for certain periods of time if you use incorrect credentials. Clef: A great security feature, if you plan to use your phone to log into your WordPress dashboard. I had some problems with it so I don’t really recommend it. Disable user notification: Keep unchecked if you’d like updates. 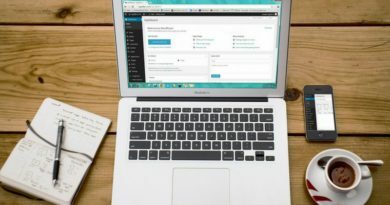 This is how to install WordPress! Now, you’re officially inside the backend of your WordPress blog. This is where all the magic happens. 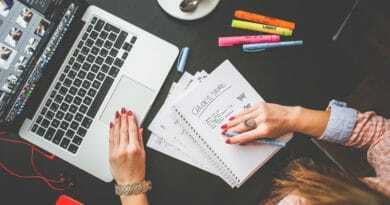 The next step in setting up your WordPress blog: How to install a theme for your new blog.